I used to think that washing dishes by hand was actually good for me in that it gave me a long amount of time to think and reflect on life. After installing this dishwasher what I actually found out was the stress level around the house decreased because I no longer had to employ subliminal trickery in attempt to get my significant other to wash the dishes and now no one is dreading that big pile of stacked dishes because it's to easy to load a dishwasher and push a button so there are no longer any excuses for dirty dishes collecting dust. 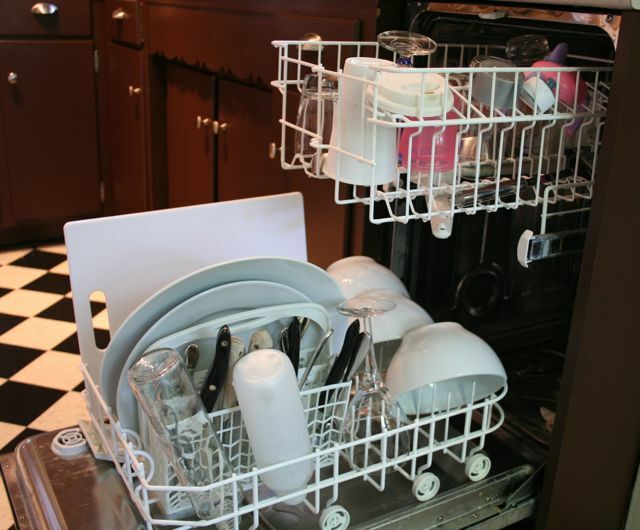 Our GE Spacemaker 18"dishwasher has been installed for a year now. 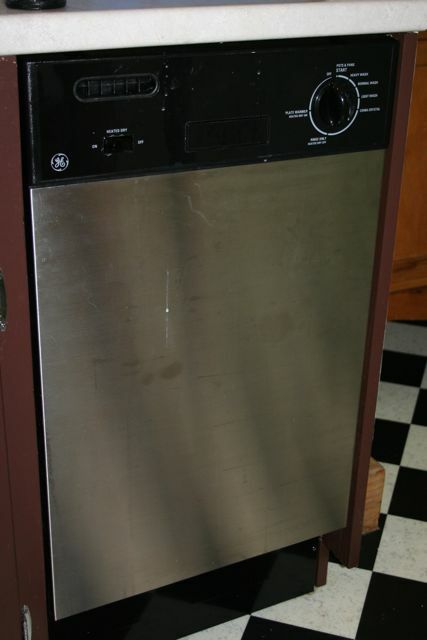 We chose this 18" dishwasher because it was the only size that would fit with our small current 1930's cabinets. The installation was very easy and the installation instructions were very clear. 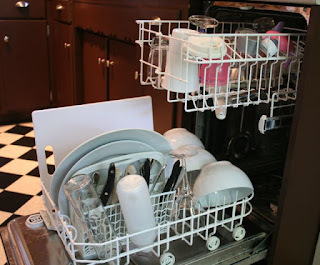 We are able to stack a large amount of dishes in the rack and generally do dishes once a night. The 18" dishwasher can even handle pot and pans. I haven't noticed any decrease in water usage compared to hand washing which was a surprise. Over all it's been a great work horse. The only major challenge has been finding the right detergent for our hard water. The picture of the front of the dishwasher was taken before I wiped it down. I wanted to shown the stainless gets finger prints and the front gets dirty but it's easy to clean with just water and a cotton towel. The first downside of this unit is cost. For an 18" dishwasher to cost more than a full size unit seams strange to me. Also it is a bit noisy since the front panels are insulated which makes me wonder again about the price. Most of the noise seams to come from the motor panel and could probably be easily insulated. If sound is a factor for you look at the GE Profile 18" dishwasher which includes more sound dampening features.. Over all I'm happy with the dishwasher. A little noise is a small price to pay for an extra 45 minutes of free time a night. Plus the stainless fits right in with our cabinets and the dishes almost always come out clean. Hello. I found your blog when trying to come up with ideas for a backsplash for our 50's style kitchen. Anyways, we installed the same dishwasher (except in white) in our kitchen back in July. I agree that it is noisy. We have problems with the bottom rack as well. If you slide it out to put a plate towards the back, the wheels get off track and, if you don't realign it the right way, will cause the rubber lining to come out when you push the rack back in.